No Matter Who You And How You Identify Or Where You Are In Your Spiritual Journey, You Are Welcome Here! St. Monica & St. James is a parish in the Anglo-Catholic tradition and is situated in the heart of D.C.'s historic Capitol Hill neighborhood. We are under the pastoral care of the Episcopal Diocese of Washington and the Episcopal Church in the United States of America. As an Anglo-Catholic Episcopal Church, we are committed to using the two great legacies of the Anglo-Catholic movement -- social justice and worship-centered faith -- to make the Incarnate Word real to a 21st century audience. Our congregation consists of families and individuals; young and old; city folk and suburbanites; white and people of color; people of all sexual and gender identities. All of God's children are accepted and loved at this parish. We take pride in our diversity as people and our oneness in the Holy Spirit. Our diverse backgrounds remind us to make no peace with oppression but to see God's image in each other. We are committed to compassion and justice in our society. In our worship, the Mass, celebrated with timeless word and tradition, binds us to God and to one another. Our spiritual community constantly seeks new ways to deepen worship and liturgy and to invoke its power for transforming lives, in our individual action, collective ministries and worldwide engagement. 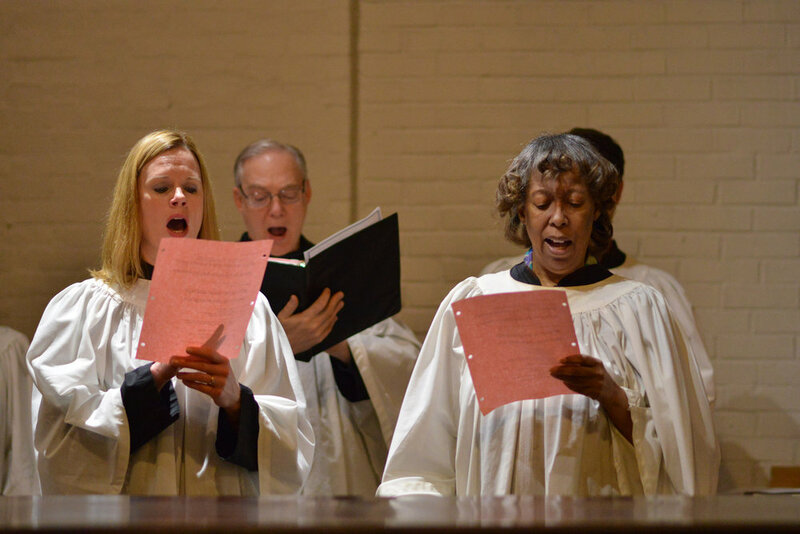 We seek to worship God and proclaim Jesus Christ's love through our traditions, our diversity and inclusiveness, our individual and collective ministries, and the world's communities. We strive to continue the Gospel's call to love others as God first loved us.